Bubby and Bean ::: Living Creatively: Fellow Chip Lovers (Who Also Like to Be Healthy): Rejoice! Fellow Chip Lovers (Who Also Like to Be Healthy): Rejoice! Thanks to Green Giant™ Veggie Snack Chips for sponsoring this post! 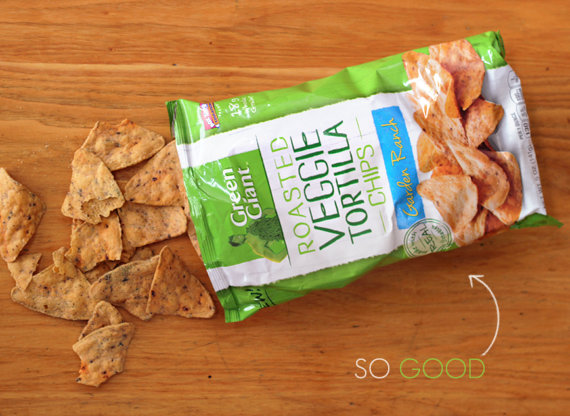 Make sure to grab a coupon and try Green Giant™ Veggie Snack Chips today! I consider myself to be a healthy eater most of the time. I'm a vegetarian (24 years and counting), and try to eat whole foods that are primarily organic and/or local. But I have a thing for chips. I love nachos. I love chips and dip. I love chips and guac. I love chips and salsa. I love chips with a side of chips. And admittedly, being pregnant has only amplified this undying affinity for the incredible invention known as the chip. I very rarely do food or drink reviews on the blog. 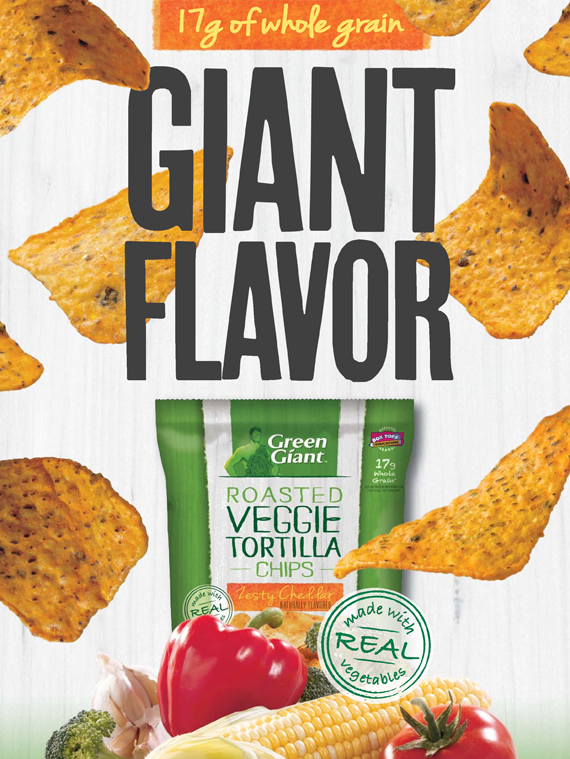 But thanks to my more-than-mild chip obsession going up against my efforts to eat healthy, I just couldn't turn it down when I was approached about trying out the new Green Giant™ Roasted Veggie Tortilla Chips in Garden Ranch and Green Giant Multigrain Sweet Potato Chips in Barbecue. And I'm so glad I did. Not only are they both absolutely delicious, they're made using better ingredients than your traditional flavored potato or tortilla chip. The Roasted Veggie Chips are made with real vegetables and whole grains, and the spices include things like evaporated cane syrup (instead of icky high fructose corn syrup), and quinoa (my favorite), garlic, tomatoes, broccoli and carrots (instead of weird artificial flavorings and MSG). The Multigrain Sweet Potato Chips are made with real sweet potatoes and whole grains, and are 40% less fat than regular potato chips. Score. 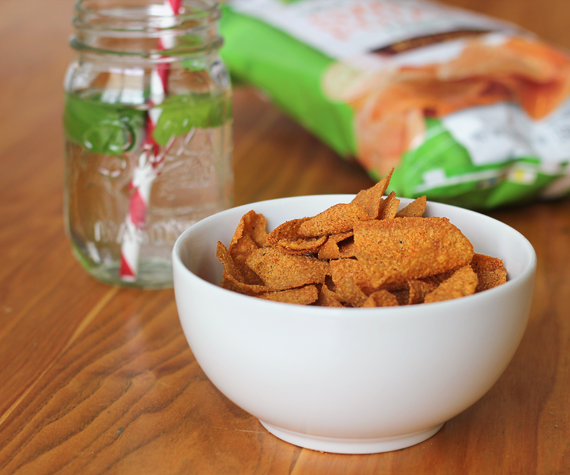 My new favorite afternoon snack consists of an apple, a glass of mint infused water, and a bowl of the Multigrain Sweet Potato Chips. My chip craving is satisfied without the extra fat and grease, and I feel like I'm still able to enjoy myself without completely sacrificing nutrition. It's a win-win you guys. For those of you who are fellow chip lovers, I suggest giving these babies a try. They also make a great party snack, and are so good with your favorite sandwich (my husband has been eating with sandwiches them incessantly). Any other usually-healthy-eaters who are also chip fanatics? What are your favorites? Thank you for supporting Bubby and Bean by allowing me to post occasional sponsored content. All sponsored posts feature products or services that I genuinely feel would be of interest to you. Really glad you posted about this! I love chips as well, but obviously I don't want to eat the super unhealthy kind. I eat Stacy's pita chips all the time, but I've been looking for something new to try. (I also share your love of guac. I really don't understand people who hate avocados!) PS - love your blog! Oh! I will be trying these chips! I have been a vegetarian for almost 20 years myself but only in recent years becoming very careful with the chemicals, corn syrup, etc that we should not consume. I love Utz sweet potato chips. The ingredients are simply sweet potato cooked in peanut oil with just the right amount of salt! Mmmmm...they sound yummy! I'll have to look out for em at the grocery store! Those look delicious. I'm going to have to try some. I can't stand oily potato chips so I'm constantly eating corn tortilla chips...and that gets old. These will be on my next shopping list. Yum! I am such a potato chips person, and I really need to find a less greasy fattening alternative. =) So this is great! I DEFINITELY need to try these! I'm on a diet --alternating juice days (whole foods juiced-lots of kale) with high protein shake days but allowing myself one day of "real food" each week so I don't go stark raving mad. I craved ginger snaps when I was PG, and so did my friend and also PG coworker. I normally don't even LIKE ginger snaps. We found out it was due to a magnesium deficiency. Awesome! We cant eat any chips until this Whole30 is over, but after that, these are definitely going onto the shopping list!! 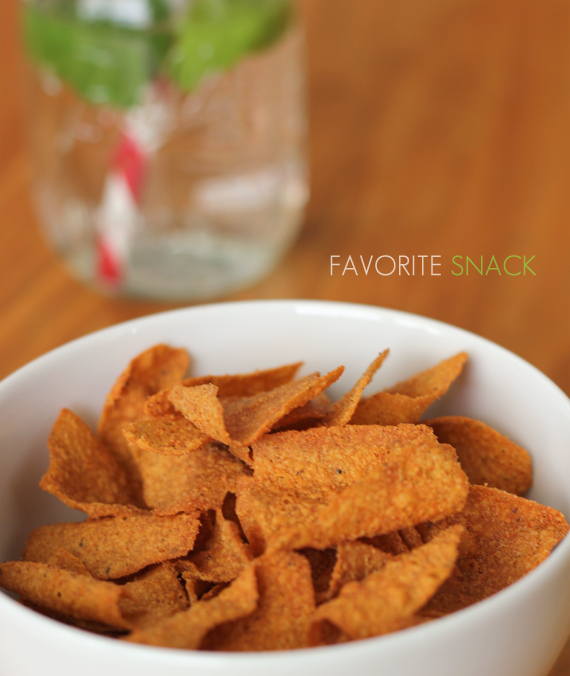 I so love the sweet potato chips from Green Giant, so good! I'm on a sweet potato kick at the moment and those hit the spot.